March 10th is the start of a Conference held in Seeheim, Germany, and 15 of us are representing Lufthansa YPQ and heading over to Germany for the 3 day conference. With March Break also starting the planes are pretty full with vacation travelers, so leaving on the Friday is tight. So going early will help and also allow some time to get used to the “jet-lag” and allow to explore Germany a little before traveling to Seeheim. I’ve decided to leave on Wednesday March 6th. Currently, work has me booked on two flights on the outbound just in case. LH471 YYZ – FRA on the Boeing 747-400 which is a 7hr, 35min flight has me wait-listed at the moment which I hope will clear. I’ve never been on the “Queen Of The Sky” since the last time leaving Toronto was to Munich on our Airbus 340. This Boeing 474-400 holds 67 pax in business, 32 in premium economy and 272 in economy. Duty travel for work has a higher priority than staff-standby for personal trips. 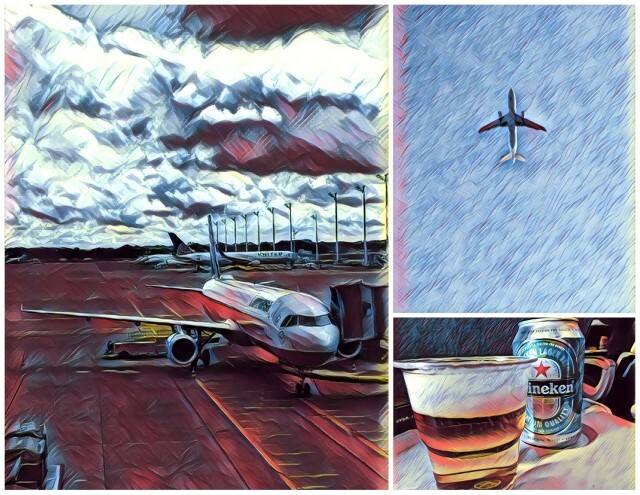 Hey… all I need is one spot for me in a window seat and a cold beer sitting on a flight beside Rachel McAdams. Right now I’m confirmed on Austrian Airlines which Lufthansa owns departing YYZ towards Vienna, Austria (VIE) on OS072. I’ve never flown on Austrian before. Right now, that’s my back-up route. 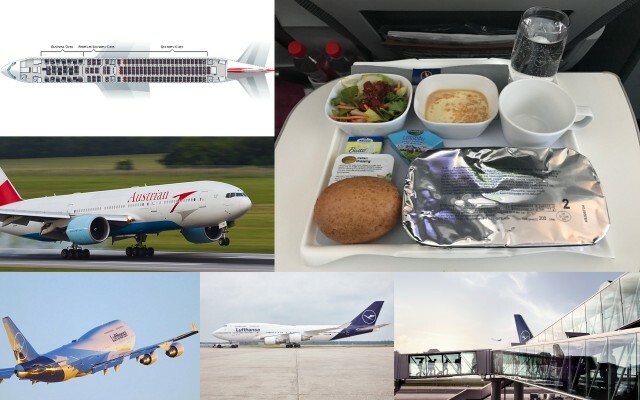 The equipment for Austrian is a Boeing 767-300 which holds 26 pax in Business, 18 in Premium Economy and 167 in Economy for the 8hr, 35min flight. 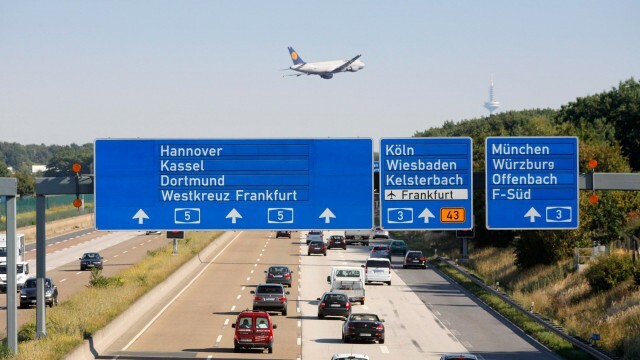 So the connecting flight the next morning to Frankfurt will be on OS129 that will get me into Frankfurt for 11:40am compared to 7:45am by flying the direct route with Lufthansa. I’ve picked both my window seats for Austrian. Let’s hope that my LH booking confirms! 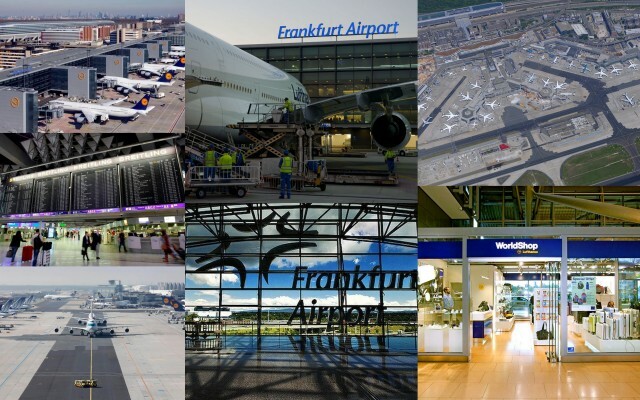 I’ve only been to Frankfurt Airport once before. Just connected into it and have not ventured into the city. So when I land… I’m going to store my work bag with my clothes for the conference at the airport storage service and just pack light with a small backpack into Frankfurt for 3 nights. Upon my arrival at the airport, I have my WordShop purchase to pick up with my two bottles of the Lufthansa Cocktail mix. After that it will be downstairs to the basement of the Airport where you pick up the S-Bahn to ride into Frankfurt. Frankfurt Main Hauptbahnhof is Germany’s busiest train station. 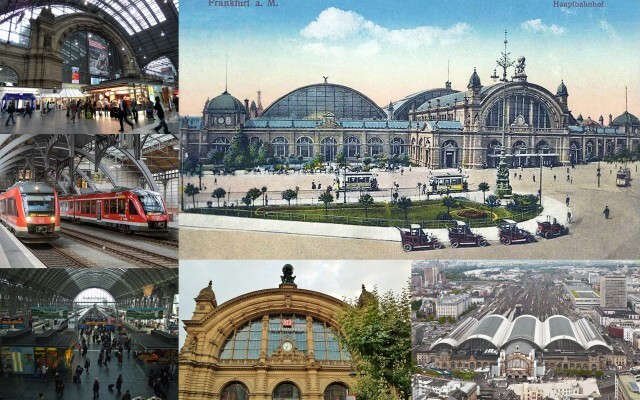 In 1866 the thought of a main station would be needed in Frankfurt and this station had construction start in 1883 which was completed and opened in 1888. Crazy. The postcard you can see in the picture below is from 1915. Today it has 120 tracks and handles about 350,000 people a day. I’m sure I’m going to be sleepy depending on which flight I take to Frankfurt, so my first night is 3 min’s from the train station. Before bed I will take 3mg of Melatonin about 2hrs before I want to go to sleep to help my body learn the new cycle. I will also start to adjust my bedtime a week out before the trip to help. Then next two nights in Frankfurt I have a room across the street at the same place. For my first half day in Frankfurt… I’m going to take it easy and stroll around the streets near my hotel. My first sleep will be in this place above and it’s just a basic little room just to crash the first night. You can see the train station from the window. Day two will start off heading to the the old city centre. The Römerberg is a public space in Frankfurt, Germany. 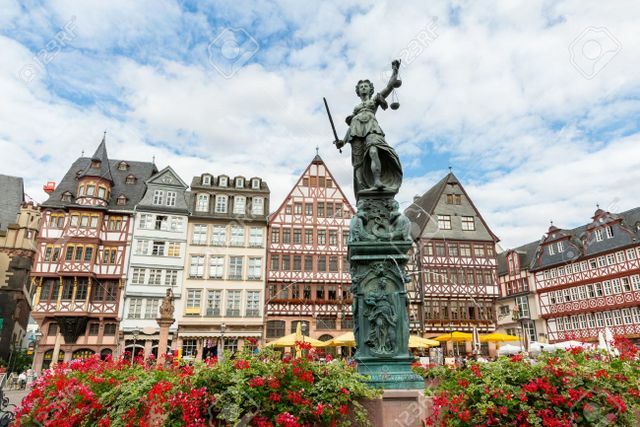 It is located in front of the Römer building complex, and houses Frankfurt’s city administration since the 15th century. I’m going to take advantage of the 4 hour walking tour on Day2 to learn more about Germany and the history of Frankfurt. 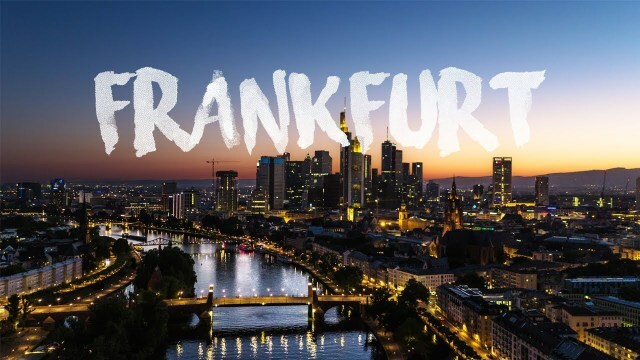 After dinner, I will be back to the square to partake in a little Frankfurt Pub Crawl that will cover four German Bars. After that, I will grab a Uber back to the hotel. The next day is open since I’m still trying to narrow down what to do. The evening will be a walking food tour that I signed up for. On Sunday morning after a German Breakfast… it’s off to the Airport to pick up the Hotel bus that will depart to Seeheim for the conference that starts Monday and cover 3 full days till Wednesday and one last night at the hotel bar with whoever is flying out Thursday morning. 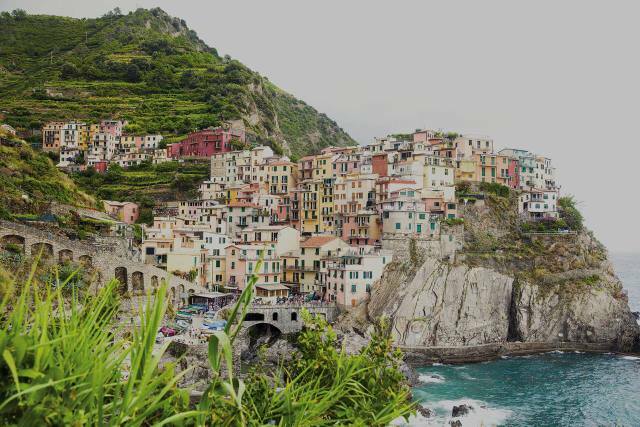 For me, I will wake up and make my way to the airport to fly to Naples, Italy for a night before making my way to the Amalfi Coast for 3 nights before returning to Frankfurt to fly out on the 19th back to Canada. I will take LH334 from FRA – NAP that will depart at 11:15am on Thursday and will touch down at 1:10pm where I will make my way to my hotel in the city centre in Naples. 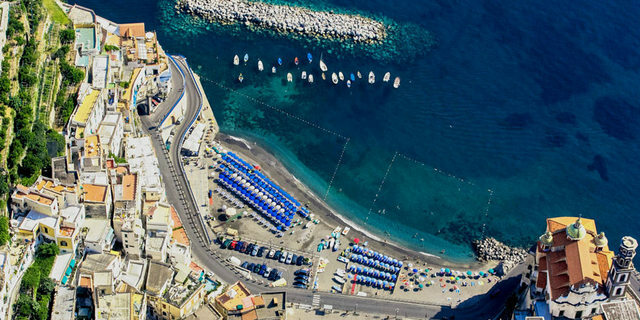 Naples below is in southern Italy on the east side a little more than halfway down the “boot” 😉 Nearby is Mount Vesuvius, which is still active volcano that destroyed the nearby Roman town of Pompeii. 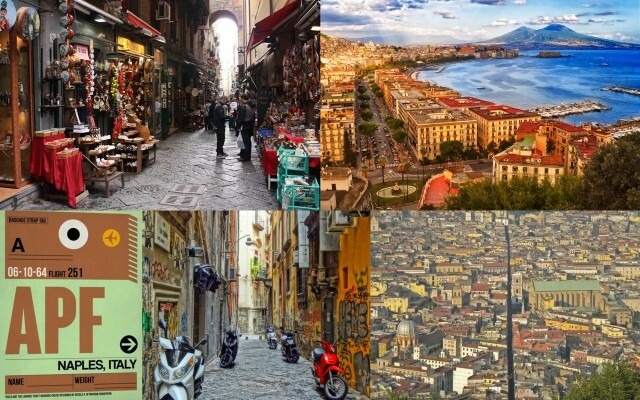 Naples has about a million people and is Europe’s ninth most densely populated city with 8,183 per square kilometer. 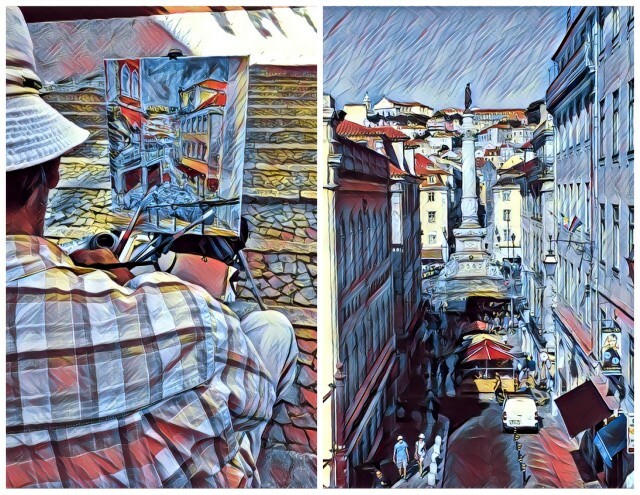 I don’t have much time in Naples, so I want to walk down Spaccanapoll Street which you can see below in the bottom left photo in the collage. 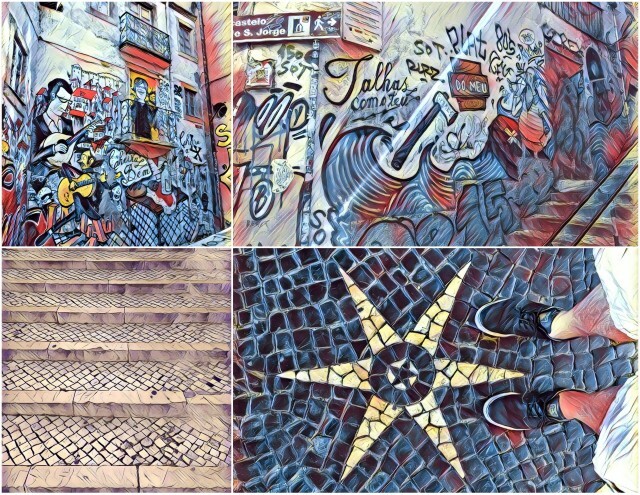 Spaccanapoll divides the city and a very interesting street. It’s straight and narrow pathway that traverses the old historic city centre. It’s name means “Naples splitter” and it’s 2km long! Neapolitan cuisine is synonymous with Pizza – which originated in Naples. With my short time before the day ends I will walk around and sample local eats and get back and hang out near my hotel after it gets dark. 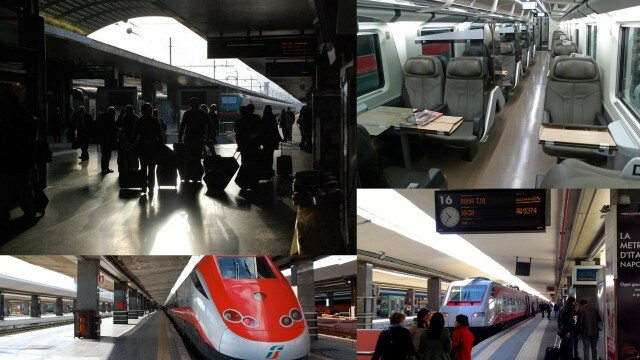 The next morning after breakfast and exploring a little more, I will head to the Giribaldi Station to board my 12:10pm train from Naples to Salerno, Italy. Salerno, will be my gateway into the Amalfi Coast. I bought a ticket on the high speed train that should take only 30min. I got a upgrade with my $16CAD ticket to first class cabin on the train that allows me to pick a single window seat in advance. On my way home I picked the normal 2nd class tkt for $6CAD for the hour long regular train trip back to Naples to fly back to Germany. Excited to follow the roads from Salerno to Amalfi by using the Sita bus. 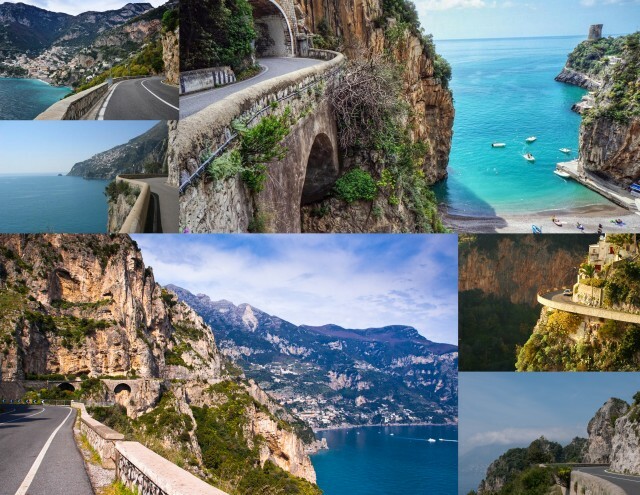 I will use this bus network to get to places like Positano and Sorrento if I want to sneak a little farther during my 3 nights along the coast. 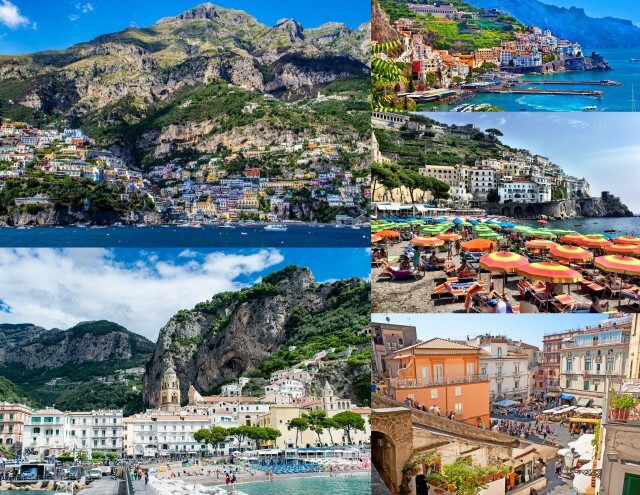 In the Summer with the kids we will fly into Germany and make our way to Portugal, Spain and ferry to Capri from Barcelona to visit the Amalfi Coast. I know that they would love it! 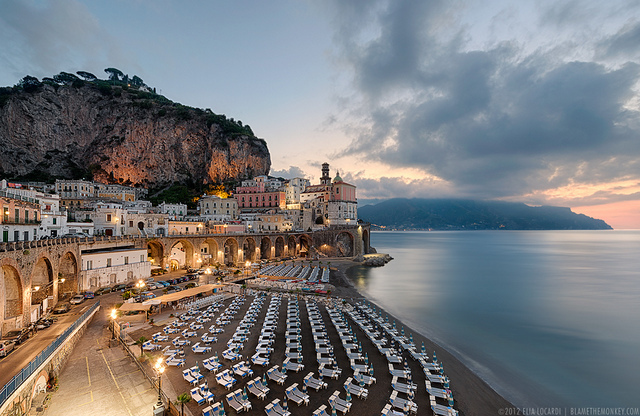 I’ve booked 3 nights at this little town called Atrani (shown above) that is just to the left of the town Amalfi. It takes about 10 minutes to walk into Amalfi from here. (below) is a shot from above of of the little town. Only about 900 people live here and the the town has only a surface area of 0.12 km squared. That’s crazy. I’m going to use the little Sita bus to go up and down the coast. 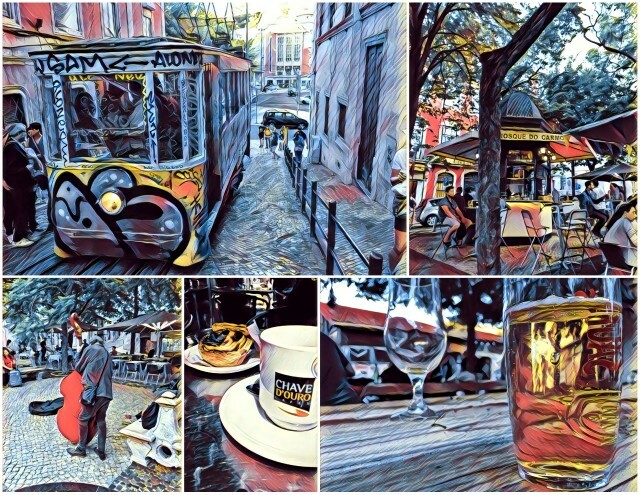 You can get a all day pass for about 11 euros. 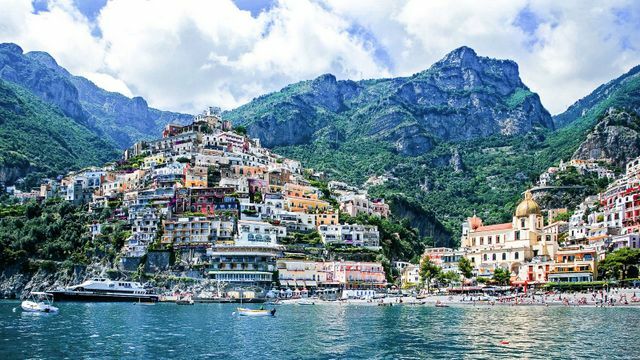 One day will be in Amalfi and one day will be spent in Positano. I’m trying to research what looks neat along the narrow road along the way to jump off the bus and walk around. 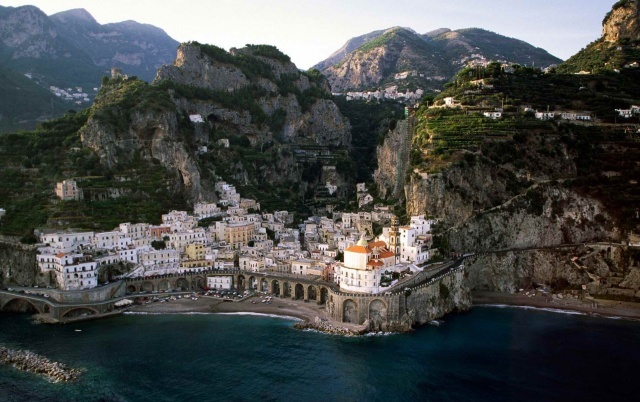 Amalfi gets the spike in tourists after Easter, so it should be fairly quiet and the weather should be around +16. So not super hot and simply comfortable. 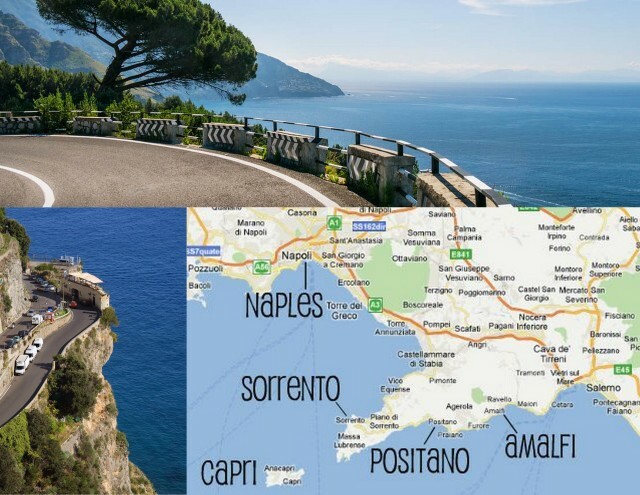 Town of Amalfi shown below in the collage. Positano shown below with it’s people living along the cliffside. 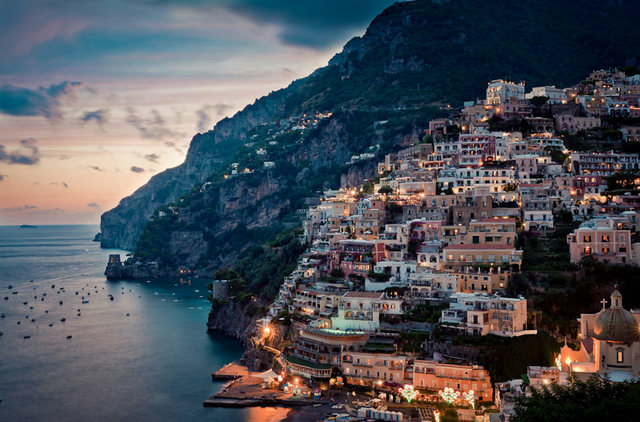 Positano (above – below)is a cliffside village on southern Italy’s Amalfi Coast. 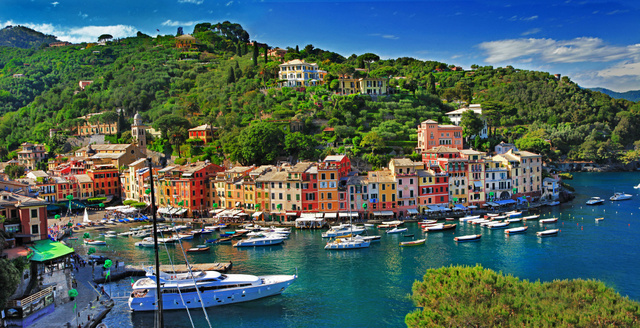 It’s a well-known holiday destination with a pebble beachfront and steep, narrow streets lined with boutiques and cafes. Its Chiesa di Santa Maria Assunta features a majolica-tiled dome and a 13th-century Byzantine icon of the Virgin Mary. 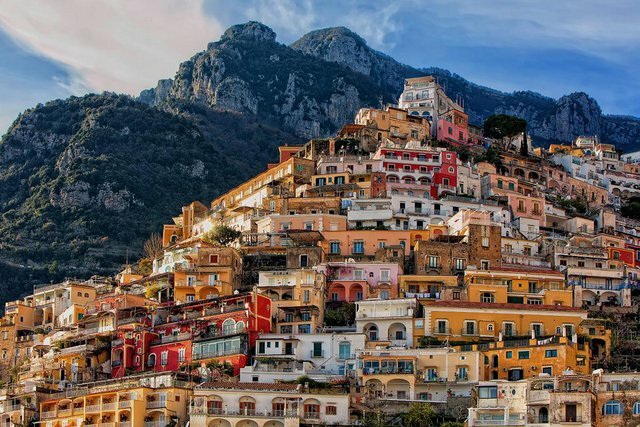 The Sentiero degli Dei hiking trail links Positano to other coastal towns. 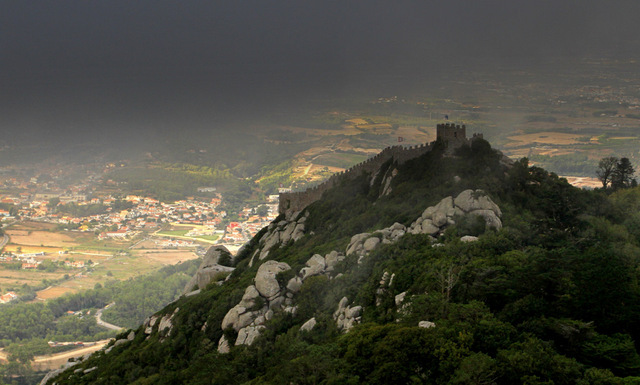 It has a total area of about 8.6km and about 4,000 people who live there. 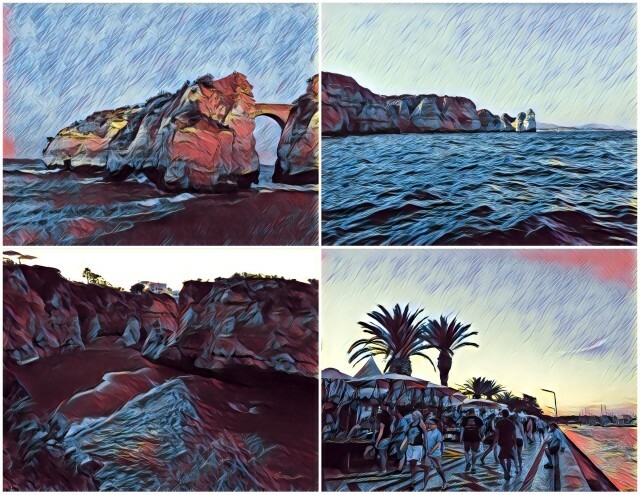 The cliffs have been photographed many of times. This is a little bonus trip trip for me to scout for the future. This summer I have two weeks and planning a trip with the kids and we will come here to explore. I also want to come back with a woman to relax and casually explore with. After 3 nights in Amalfi, I will take the bus back to Salerno to take the train to Naples to fly out. Going back to Germany… I will take LH1927 that leaves at 1pm and connects in Munich with LH113 back to Frankfurt. 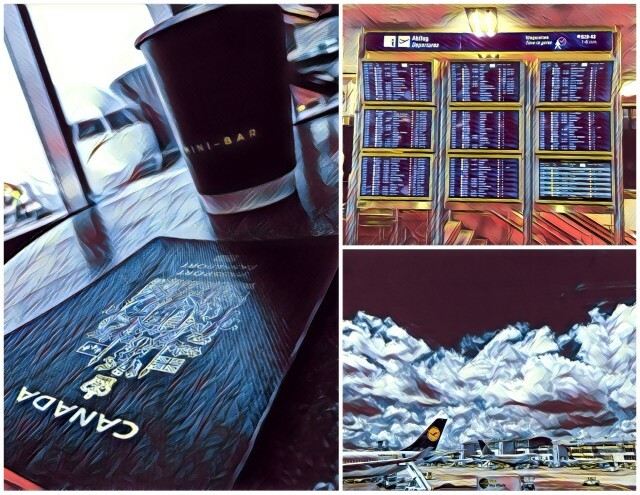 I picked this connection since there is a later flight if I don’t make this one due to space since this was a little $115CAD staff standby round trip ticket in economy. Making the 1pm flight will get me back in Frankfurt by 5pm and will spend a night at the first hotel I stayed at. This will just be a place to crash since the next afternoon I fly out after lunch on LH470 departing at 1:25pm for a 8hour and 40 min flight to Toronto. I will land in YYZ at 5pm same day with the magic of time travel across time zones. After a large jumbo Bazlac’s coffee… it’s off to PTBO via shuttle arranged from work. Excited to fly on the Boeing 747-400 if I fly on Austrian on the outbound. So far… I’m only waitlisted on return Lufthansa flight that should confirm soon. The numbers look good on the plane. I just need one window seat. 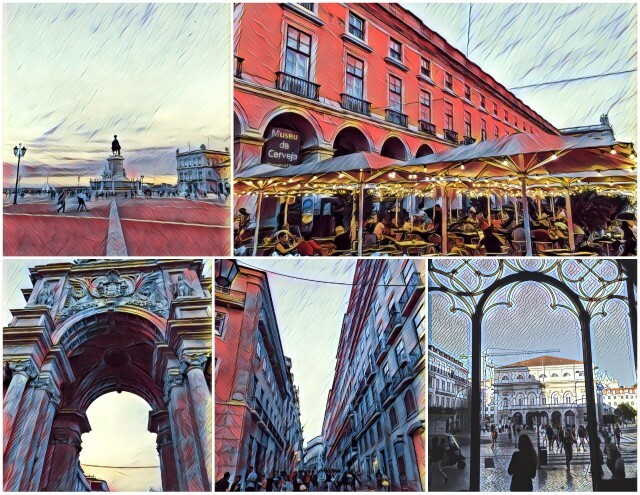 Very thankful for the opportunity to fly to Europe for work for the conference and utilize some weekends pushed to the front and end of the trip with 3 vacation days to stretch it out from the 6th to the 19th. I’m going to try and vlog this trip for work and will start my OSE videos again while getting back into the swing of documenting + editing video on my phone. Purchased a pack for Noah for our trip. He needed a good little pack for travel that can be used as a carry on. This little pack from MEC will be good for him. 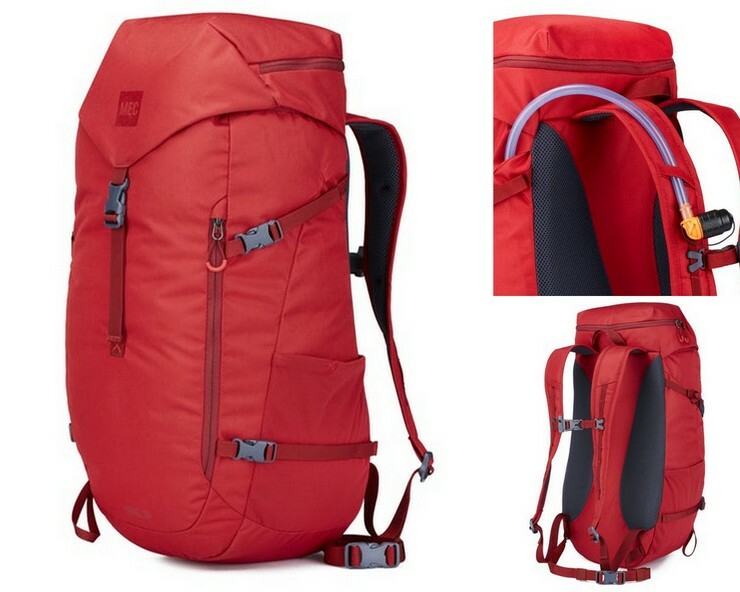 It’s a 24L pack and also can be used with a hydration system that can go inside for hiking. His is the MEC Trail 24 Daypack. 430g this bag is perfect for him and his smaller frame. Below is the MEC Flair 60 Backpack for Chantal. 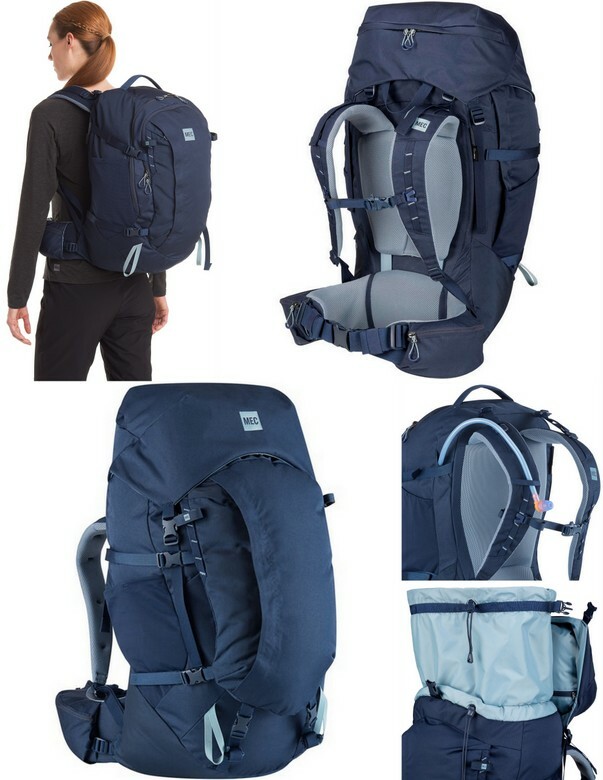 This 60L pack is perfect for a weeks worth of gear and the great thing about this pack is that there is 3 different ways to get inside to your things without always going down via the top. So you get at your gear from the sides and the front. Lots of pockets in this waterproof bag. This pack is designed for women. 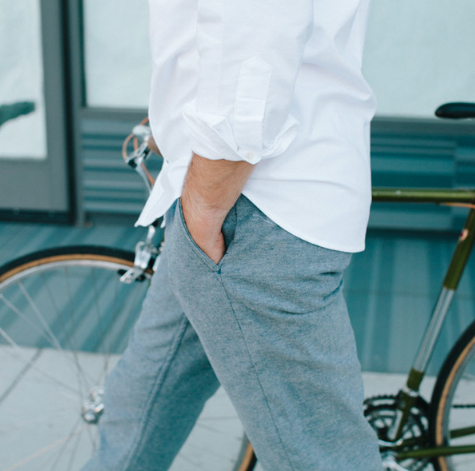 Love watching great photography and great little shorts. 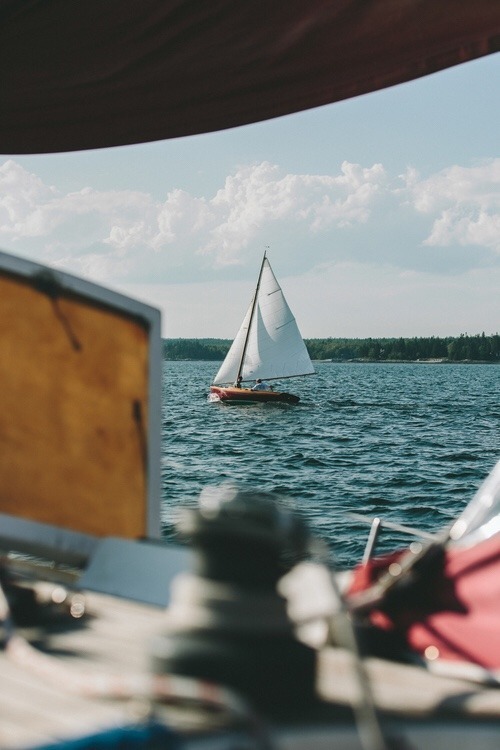 David Welsford let go of most of his belongings, bought a sailboat and started living in it adventurously while traveling the world with it. “For me more important than having a big house is having a space that makes me feel good,” says David. He basically stumbled upon a old boat and talked to the owner about restoring it and bringing it back to life. It’s a 28′ sailboat that’s around 50 years old that he restored himself. He takes soap showers on the boat and jumps into the salt water to rinse off. Lizzy Belle is an H28 class Ketch rigged sailboat designed by L. Francis Herreshoff. H28’s were first built in 1942 and have since become one of the most circumnavigated sailboats in their class. Lizzy Belle was built in Chester, Nova Scotia by Chester Boatwork’s in 1968 and named after the wife of the original owner Elizabeth Belle. In the winter of 2012 the first chapter of his adventure became a reality as Lizzy Belle and her crew sailed the blue waters of the Caribbean. The Trophy Club presents ‘Summer Champ’ from The Sleepers on Vimeo. 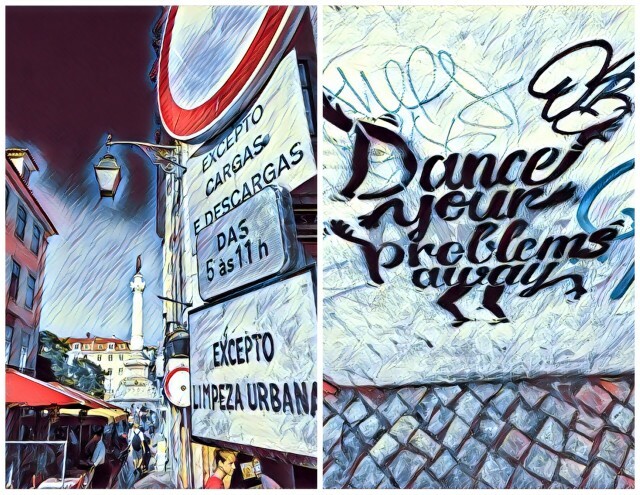 Lisbon | Can’t Wait To Go | Again? 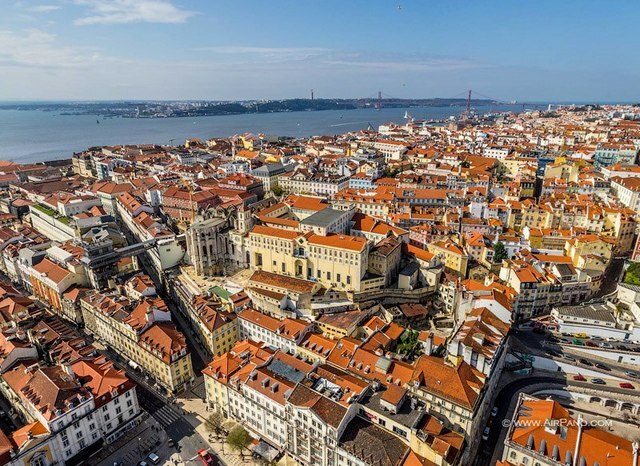 November 18th flying with the kids to visit this beautiful city. The city of 7 hills. Where Chantal is allowed to have a German beer on the flight legally. Where tags own the back alleyways and the little Natas are everywhere. 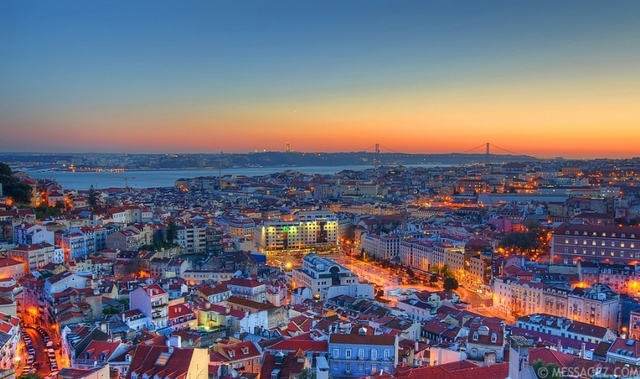 A city where everyone eats dinner at 9pm. Can’t wait to go with them. I’m sure we will make a movie. I’m sure we will stay up late too each night. Little iPod video above about Portugal… that I made last year… since I wanted to take them but my ex derailed those plans… so now it’s back on. This Summer… I was to fly there with Noah in Aug and that got derailed by the ex. 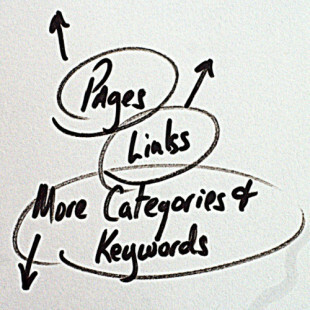 That might be it’s own blog post. 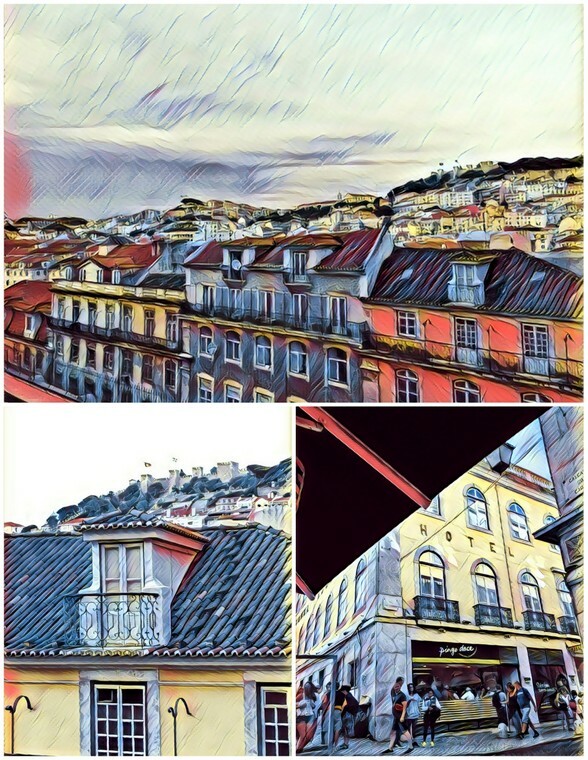 Bottom line is she agreed to let them both go in Nov so I moved the remaining vacation days to Nov to fly and take them both to Lisbon and most likely Spain. The “Don’t Tell Mom Summer Series” is taking the show on the road this November. 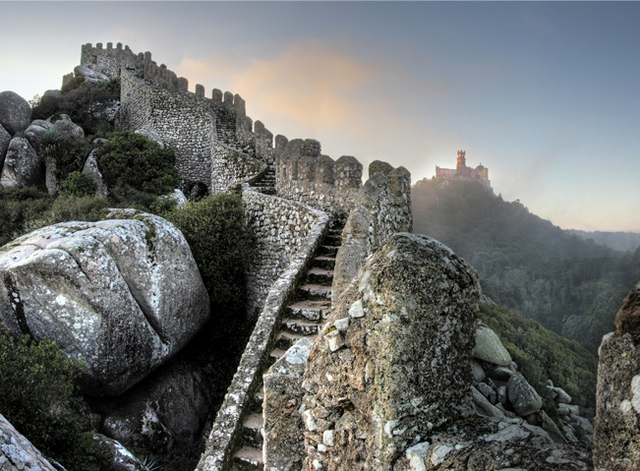 Portugal juts out into the Atlantic in the far southwest of Europe otherwise known as the Iberian Peninsula. 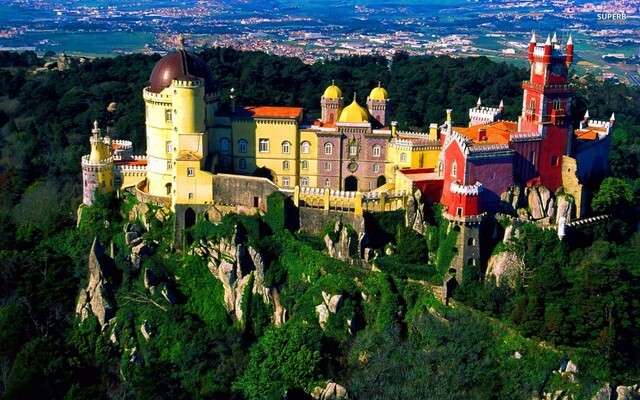 The only country it shares a border with it’s buddy Spain to the north and the east, with the Atlantic Ocean hugging its 800km coastline to the south and west. 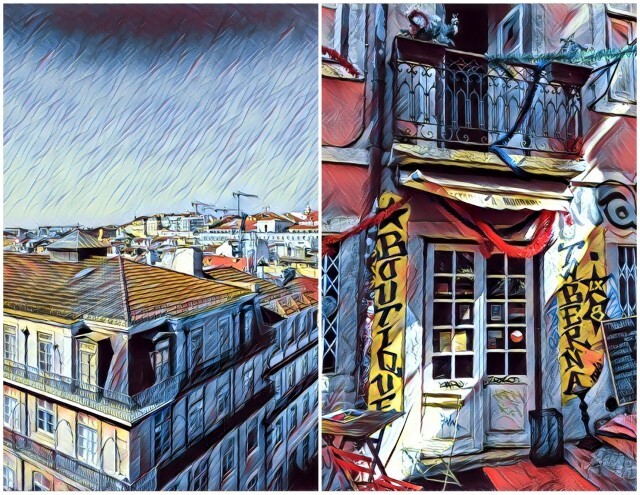 European Portuguese is spoken in Portugal. Population: 10.6 million. This year… I want to take advantage of my flight benefits at work. 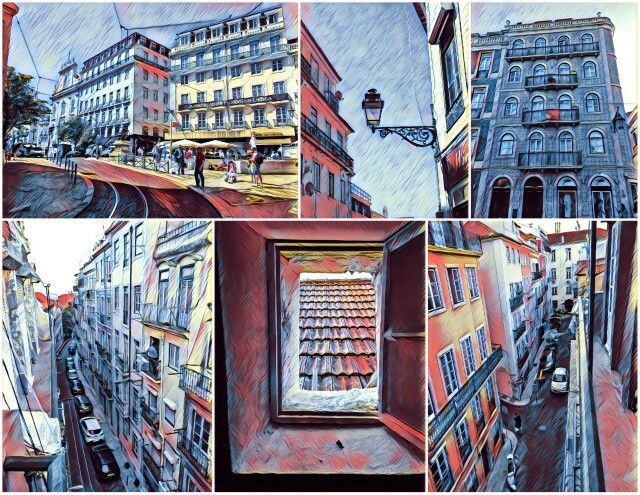 If I price out a trip to Lisbon it would cost around $3,000 return for the 2 of us. With my benefits at work, the two of us can fly at cost. We need to take the “show” on the road and explore something that is new to all of us. 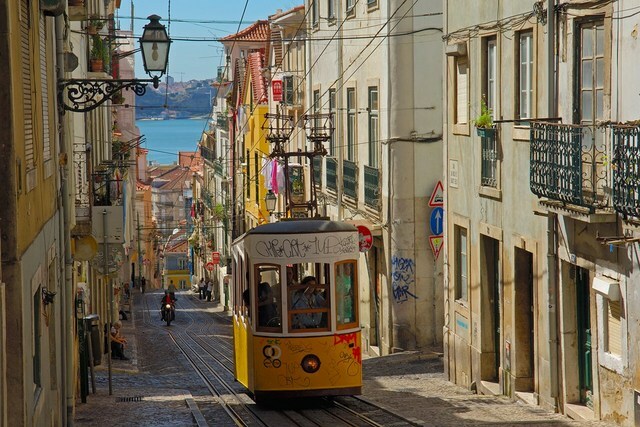 We would get to fly on our planes From Toronto to Germany and a little smaller flight over to Lisbon. 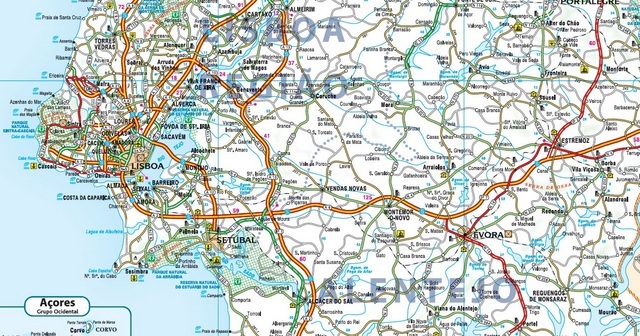 On the way back… we might take a train up the coast to Porto, Portugal and fly out of that city after exploring it. The train up the coast will take about 3 hours. 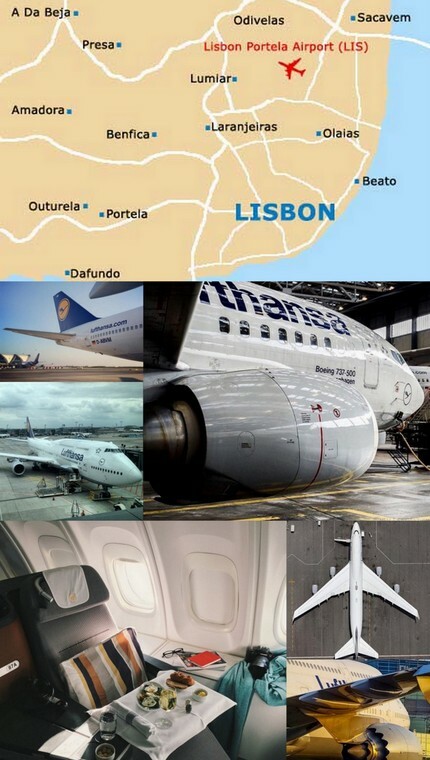 Lisbon Portela Airport (LIS) is located 7km (4 miles) north from Lisbon city centre, close to the Parque das Nações district. 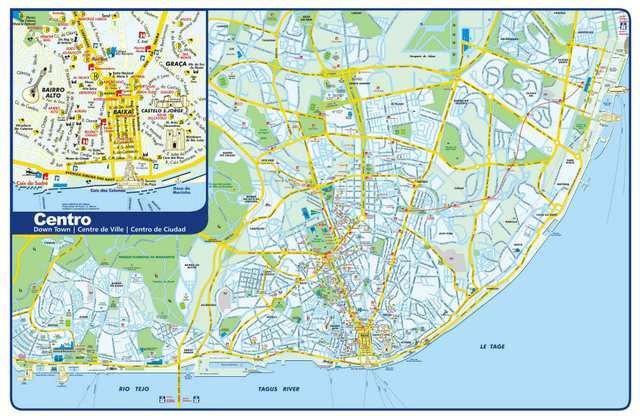 It take about 15 minutes to get by taxi into Lisbon from the airport. 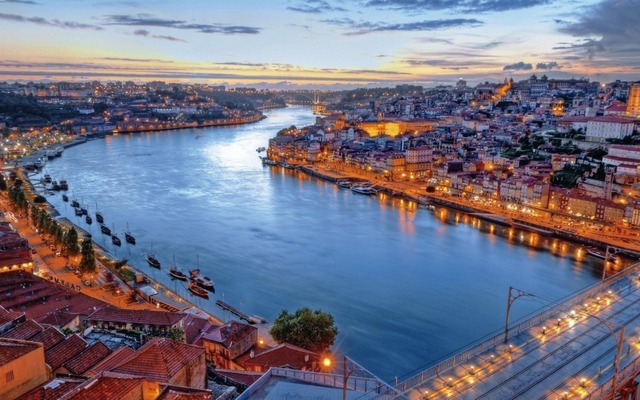 One of the trendiest capital cities in Europe, it gets lauded for everything from its affordability and its waterfront location to its well-preserved looks and its near-constant pleasant temperatures. 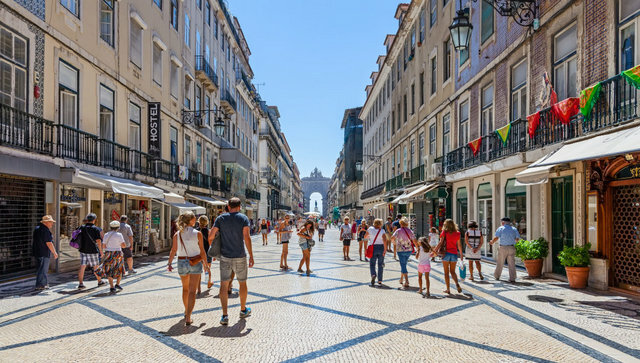 Sunshine and scenery aren’t all it offers, of course – you’ll also find several millennia of history, a compact centre well suited for us to explore the streets. Unfurled across a series of hills and stitched together by a web of atmospheric backstreets. 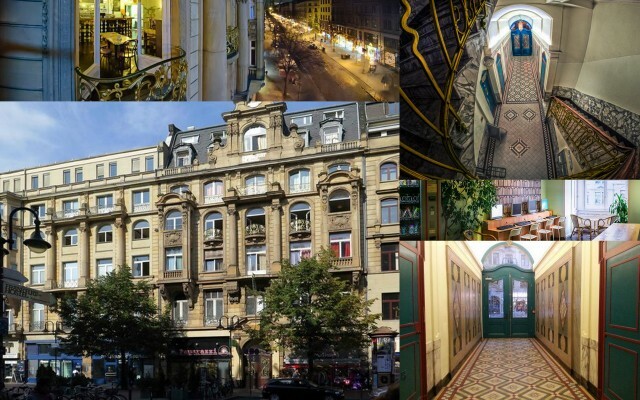 With AirBnb we can find a great place to stay for the week that is right in the city. 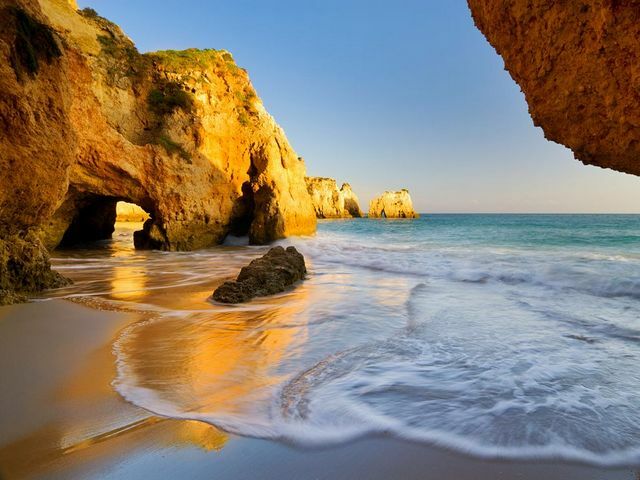 We could rent a car and head up the coast to Algarve show below to explore the coastline. I know the kids want to hit the beaches and play in the ocean. I asked Chantal if she thinks she could eat the food in Lisbon. She asked me if they have McDonalds. I told her I would check. 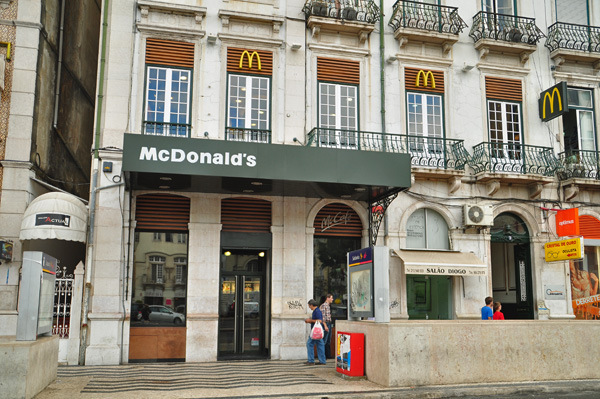 She thinks if they can have one in China then they will have one in Lisbon. There is a couple. But I think this will be a good trip for her to try new foods since there is some good places that serve more of a North American menu. I hope we are not going to McDonalds every day. 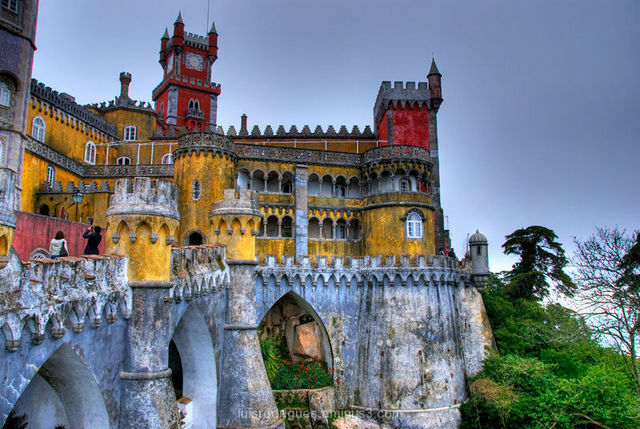 Another attraction in the Sintra district – and another that’s been named one of the Seven Wonders of Portugal – this Romanticist palace is a jaw-dropping attraction sat high on a hilltop.